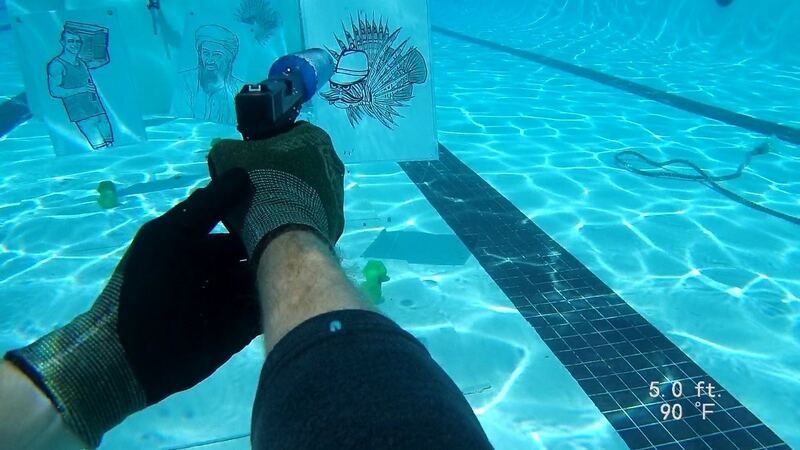 A Florida spearfisherman who has been sniping invasive fish on their home turf has plans to release his “underwater suppressor” to the public. 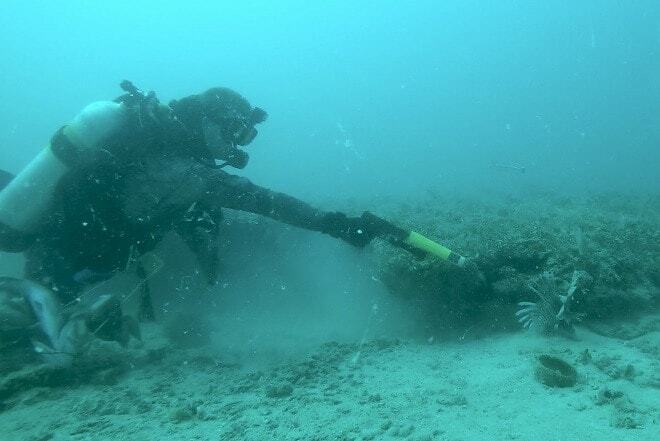 Courtland Hunt, a spearfisherman out of Anna Maria Island, has been documenting his on-going sea hunt between man and lionfish with gently-modified Gen 3 Glock 17, lead-free ammo, and purpose-built muzzle device for the past couple years. 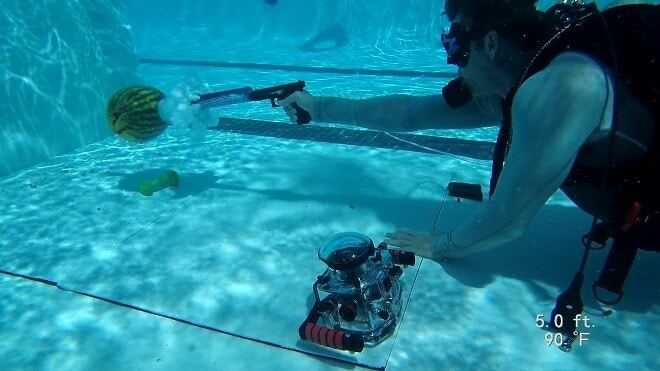 Now, branded as the FireFish, the NFA-compliant underwater suppressor (which is baffleless and doesn’t en-quiet anything above water), is nearing production. “After over two years of research & development, the FireFish prototype has been finalized and produced on a limited basis locally and these units are ready to ship upon ATF approval,” says Hunt on his Gunfishing.com website. The FishFire addresses the problem of shooting while submerged that arises due to the concussion of the rapidly expanding gas displacing the surrounding water, which Hunt says can really hurt the shooter’s ears. The muzzle device dissipates the gas, muting the impact to the user while still keeping the gun kaboom free and deadly to interloping fish. 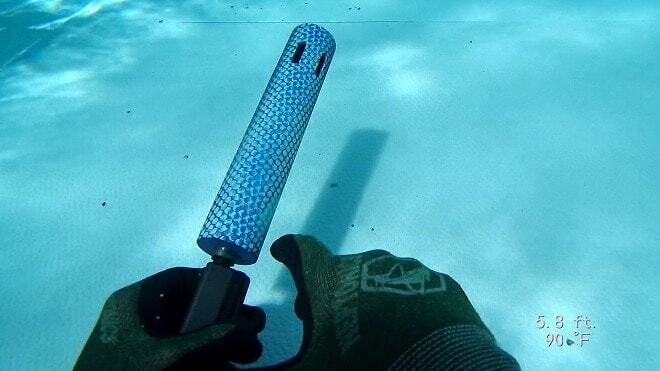 The device does exactly zero for sound mitigation above water but could serve as an awkward muzzle brake. Developed in conjunction with Airborne Arms, a Type 07 Manufacturer, with the support of Lone Wolf, Hunt hopes to have the FishFire approved to sell without a tax stamp or Washington red tape by next March and is taking $50 deposits on pre-orders. The seagoing silencer is expected to be made in either 1/2×28 or 5/8x24TPI threading and options for either a blue anodized or “Cerakote Aqua Camo” coating. Should the ATF drop the hammer on FireFish and deem it a suppressor or suppressor part, which would require Form 4s, stamps and lots of hassle for the niche item, Hunt says all deposit holders will be given the option for a refund or to proceed with the application process.